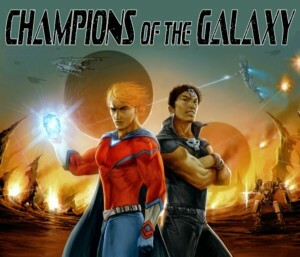 Champions of the Galaxy burst onto the scene in 1987 and Filsinger Games has never looked back. The first edition introduced 24 iconic characters including Star Warrior, Thantos, and Wolf, and proved to be a launching point for over 40 expansions and counting as well as over 100,000 games sold worldwide! The Galaxian Federation was founded late in the 21st century, when space travel and colonization linked the cosmos. The ancient sport of wrestling, which was popular on many planets, grew to cosmic proportions as talented fighters from all over the galaxy came together to battle for the Galaxian Belt. In those early days there were no heroes or villains and no battle lines drawn. There were only talented fighters who waged war as individuals representing their cosmic homelands. All this changed when Thantos betrayed the Galactic Code and created an alliance to battle his former mentor, Omega. Ever since this action by Thantos, the Galaxian Federation has become a battleground of two camps – the Galaxian Heroes and the Galaxian Villains. The success of the first edition (which takes place in 2087) led to many editions to follow, each representing a year of GWF history and introducing new story arcs and characters. In INVASION 2089 the GWF saw the first appearance of managers and female wrestlers. In INVASION 2090 the game saw a new innovation as some characters from the first edition received new playing cards to represent changes with age, like Pulsar, who reached his full potential as Pulsar Prime. The WAR GAMES trilogy (2091-2093) saw the first wide-reaching epic story beginning with the appearance of Matador of M83 and culminating in the coming of Chaos and Alpha Force. Several storylines in the years ahead were so dramatic that they spawned entire new federations like CPC 2104-2107. An invading group of wrestlers called the CPC threatened to take over the GWF. The final battle resulted in the interlopers being expelled from the GWF and starting another wrestling federation of their own called the CPC (which later evolved to become POW). These game editions can be purchased separately from the standard history in the GWF games. Another spin off took place after the sci-fi, mind-bending concepts first introduced in THE END 2109-2111 and culminating in ENTROPY 2118. The result was a fantasy-oriented spin-ff called aCe, which began in 2119 and lasted several years. Meanwhile the GWF was still breaking ground. LEGENDS 2125 saw the innovation of color playing cards to enhance the visual appeal of the game. This was followed by the current story arc which began in BLACK DEATH 2127 where evil entities from another dimension have “possessed” several GWF stars and they’ve formed an evil stable intent on taking over the galaxy. 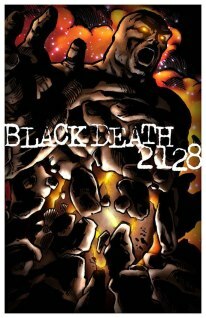 The leaders of the carnage, “The Three,” have introduced a juggernaut named End of Days, the most powerful fighter in GWF history, in BLACK DEATH 2128! To make matters worse one of the great heel turns of all time has taken place in BLACK DEATH 2129 as standard-bearer Endgame has been possessed! Can anyone stop him? Newcomer Shayne is going to try! As if BLACK DEATH isn’t enough drama Tom is promising game fans that 2130 will shake things up like never before! Meanwhile, for those game fans who are curious about the early years of the GWF (prior to the breaking of the Galactic Code in 2087) there are the Classics game editions, which explore the early years of the federation following the incredible Galactic War which began in 2058 and had a major impact on the early development of the GWF. New GWF game expansions are released every year (sometimes more often) as the amazing Champions of the Galaxy saga continues! CLASSIC FIRST EDITION (2087) – This gives a flavor of the game from the start. It would take quite a while to play all the game years to the present but games could be purchased in large sets (story arcs in order such as INVASION, WAR GAMES, SUDDEN DEATH, etc) to move faster. Purchasing the starter set with classic black and white cards gives a game buyer the EXACT game as it was released in 1986. A buyer could choose instead to get the classic first game with updated color card drawings by Darryl Banks. The card backs are essentially the same with very minor changes. To purchase the classic original starter set go here. To purchase the original starter set with updated color cards go here. NEW BEGINNING 2119 – New Beginning was designed as a starter set so players would have the option to begin playing in the “modern era” of the GWF. You’ll get all the cards you need to play. To order, go here. BLACK DEATH ERA PACKAGE DEAL – This became the latest “jumping on” point because LEGENDS 2125 was the first game year featuring color game cards. This movement from black and white to color became a “natural” jumping on point for new players that prefer color cards to black and white. The starter set includes all the cards needed (in color) for playing. This is closest to the current game year and includes the popular and current BLACK DEATH (2127-2129) story arc. To purchase the Black Death Package Deal go here. It’s important to begin playing with a starter set instead of just jumping in any game year. The starter sets are designed to give you all the cards you need to play in addition to charts, dice, and extra cards needed to be up to date with storylines. All these starting points are accessible for new players. Wherever you start will be an amazing journey limited only by your imagination! Get those dice rolling and start your fed! The game is stronger than ever and moving boldly into the future! Creator and writer Tom Filsinger is looking to expand the reach of Champions of the Galaxy by releasing a 3-part novel that redefines Champions of the Galaxy as a dramatic sci-fi adventure and the characters as colorful super heroes. Part 1 was released in 2010 with Part 2 and Part 3 on the way! In addition Tom has been meeting with writers and producers in Hollywood to pitch Champions of the Galaxy as a television show, cartoon, or major motion picture. 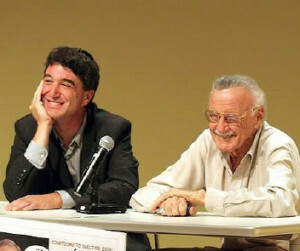 He has received support from Marvel Comics icon Stan Lee who calls Champions of the Galaxy, “a really cool game!” Tom and Stan worked together on a publishing project doing promotional tours in New York, Santa Monica, and Los Angeles. Fans and supporters can count on regular game releases and further growth as the exciting Champions of the Galaxy saga continues!